Earlier today at the federal courthouse in Central Islip, New York, Adalberto Ariel Guzman, also known as “Gringo,” a member of La Mara Salvatrucha, also known as the MS-13 street gang, was sentenced to multiple terms of life in prison plus 35 years. Guzman was convicted, on September 9, 2013, following a three-week trial, on all counts, including two counts of murder in aid of racketeering, conspiracy to commit murders in aid of racketeering, and related firearms offenses, in connection with the February 5, 2010 slayings of 19-year-old Vanessa Argueta and her two-year-old son Diego Torres in Central Islip, New York. The sentence was announced by Loretta E. Lynch, United States Attorney for the Eastern District of New York; George Venizelos, Assistant Director-in-Charge, Federal Bureau of Investigation, New York Field Office; and Thomas C. Krumpter, Acting Commissioner of the Nassau County Police Department. “The MS-13 has become infamous for unleashing ruthless violence on the streets of Long Island. However, even for the MS-13, the execution-style murders of a young mother and an innocent child, carried out by Guzman and his fellow gang members, were particularly senseless and cold-blooded crimes,” stated United States Attorney Lynch. “The tenacious investigation and prosecution by the FBI’s Long Island Gang Task Force and my Office, the jury’s guilty verdict last September, and today’s sentence send the unequivocal message that anyone who engages in such brutal and heinous crimes will spend the rest of his life in federal prison.” United States Attorney Lynch expressed her sincere gratitude to the FBI’s Long Island Gang Task Force for its tireless efforts to bring Guzman and his co-conspirators to justice. At trial, the government proved that Guzman and other MS-13 members, including MS- 13 leader, Heriberto Martinez, also known as “Boxer,” Juan Garcia, also known as “Cruzito,” and Rene Mendez Mejia, also known as “Zorro,” plotted to kill Argueta because they believed she had disrespected the MS-13. On February 4, 2010, when Guzman, Garcia, and Mejia planned to kill Argueta, she was with her son, and the MS-13 members decided to murder him as well. Guzman, Garcia, and Mejia lured Argueta and Torres into a secluded wooded area in Central Islip, where they executed the mother and child, shooting Argueta in the head and chest, and Torres twice in the head. Specifically, the evidence at trial established that Guzman fired the fatal shots to Torres’s head. After they murdered Argueta and Torres, Guzman, Garcia, and Mejia fled to El Salvador, but Guzman was arrested on May 17, 2010, in Miami, Florida, when he attempted to return to the United States from El Salvador. Thereafter, Guzman was indicted and found guilty on all counts relating to the Argueta and Torres murders following a trial in August and September 2013. Guzman’s three co-conspirators, Martinez, Garcia, and Mejia were also arrested and indicted in connection with the Argueta and Torres murders. Martinez was convicted in March 2013, following a six-week trial, and later sentenced to life in prison, plus 60 years. Mejia pled guilty to the murders and is pending sentence. Garcia, who surrendered to law enforcement authorities in Nicaragua, waived extradition, and was returned to the United States after being placed on the FBI’s Ten Most Wanted list in March 2014, is pending trial in the Eastern District. 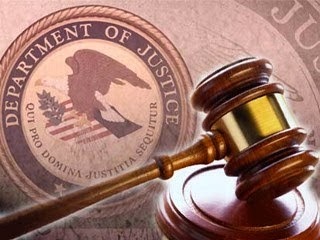 The convictions of Guzman and his codefendants are the latest in a series of federal prosecutions by the United States Attorney’s Office for the Eastern District of New York targeting members of the MS-13, a violent international street gang comprised primarily of immigrants from El Salvador and Honduras. With numerous branches, or “cliques,” the MS-13 is the largest street gang on Long Island. Since 2003, more than 250 MS-13 members, including dozens of clique leaders, have been convicted on federal felony charges in the Eastern District of New York. More than 150 of those MS-13 members have been convicted on federal racketeering charges. Since 2010 alone, this Office has obtained indictments charging MS-13 members with carrying out more than 20 murders in the Eastern District of New York, and has convicted more than 35 MS-13 members in connection with those murders. These prosecutions are the product of investigations led by the FBI’s Long Island Gang Task Force, comprising agents and officers of the FBI, Nassau County Police Department, Nassau County Sheriff’s Department, Suffolk County Probation, Suffolk County Sheriff’s Department, Rockville Centre Police Department, and Suffolk County Police Department. The sentence was imposed by United States District Judge Joseph F. Bianco. The government’s case is being prosecuted by Assistant United States Attorneys John J.
Durham and Raymond A. Tierney.